An Ohio businessman was fatally shot by a sheriff’s deputy after attacking several good Samaritans and claiming witches wanted to kill him, according to local reports. Brett Luengo, 33, was shot and killed by Cuyahoga County Sheriff Sgt. 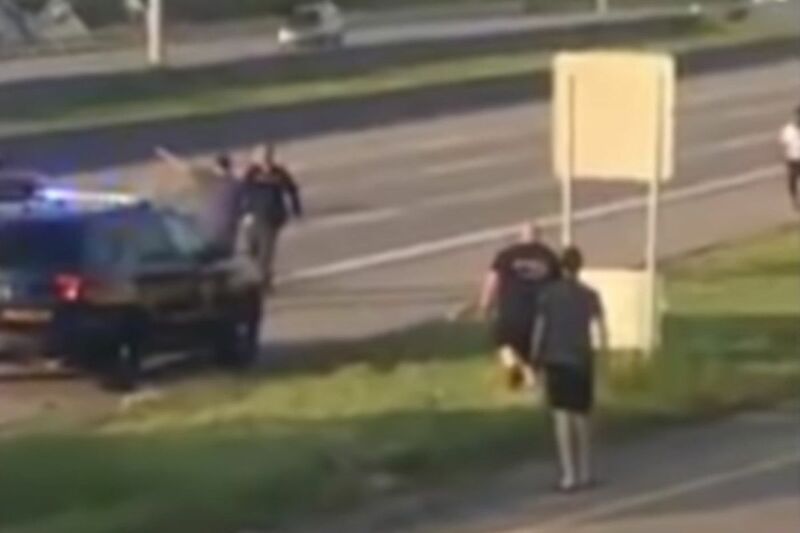 Kevin Campbell after attacking the officer and crashing his car on Interstate 90 Thursday night, Cleveland.com reported. Video of the encounter showed Luengo getting up from the ground and charging at the officer who used his stun gun before firing once at Luengo’s chest. Luengo was taken to a local hospital and died from his gunshot wound Friday. Witnesses told Cleveland.com after Luengo crashed his car, two people pulled over to try to help him. Instead, he grabbed a woman by the throat and tried to attack a man who hit Luengo with a wrench, causing him to bleed. Luengo also tried to attack a third man. Before his death, Luengo called 911 to make bizarre claims — including he was being chased by three witches who wanted to kill him and that he was suicidal, according dispatch logs. Luengo’s parents told police their son was suicidal or possibly homicidal in the last weeks, Cleveland.com reported. His family released a statement saying Luengo’s behavior was “completely out of character” and that they’re seeking answers. Cleveland officials defended Campbell’s actions saying he used his stun gun and service weapon appropriately because Luengo ignored his commands.
. However, he’s been put on leave amid an investigation, according to WOIO-TV.